The US Food and Drug Administration (FDA) has accepted the supplemental New Drug Applications (sNDAs) for doravirine (Pifeltro) and doravirine/lamivudine/tenofovir disoproxil fumarate (Delstrigo) for review. 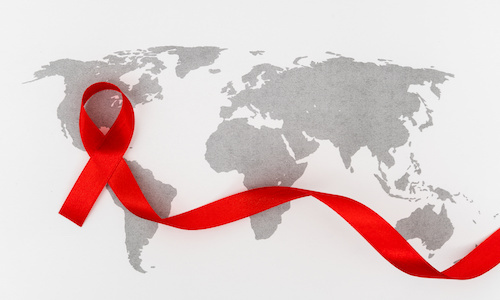 The sNDAs will seek approval for the use of doravirine and doravirine/lamivudine/tenofovir disoproxil fumarate in individuals with HIV-1 whose virus is suppressed and are switching from a stable antiretroviral regimen. The Merck therapy applications were granted FDA consideration on Tuesday, supported by the results of the phase 3 DRIVE-SHIFT non-inferior efficacy trial. Doravirine, a 100 mg, once-daily, non-nucleoside reverse transcriptase inhibitor (NNRTI), and doravirine/lamivudine/tenofovir disoproxil fumarate, a once-daily fixed-dose combination tablet of 100 mg doravirine, 3TC/300 mg lamivudine, and TDF/300 mg tenofovir disoproxil fumarate, were first approved by the FDA as therapies for adult patients with HIV-1 previously untreated with ART in August 2018. The pair were initially approved based on the results of the pivotal, randomized, multicenter, double-blind active controlled phase 3 DRIVE-AHEAD and DRIVE-FORWARD trials. In DRIVE-AHEAD, patients administered doravirine/lamivudine/tenofovir disoproxil fumarate once daily reported non-inferior efficacy to patients administered efavirenz/emtricitabine/tenofovir disoproxil fumarate in sustained viral suppression through 48 weeks. A greater rate of patients with high viral load at baseline treated with doravirine/lamivudine/tenofovir disoproxil fumarate reported viral suppression (77%) than the comparative group (72%). In DRIVE-FORWARD, patients administered doravirine in combination with either emtricitabine or abacavir once daily reported non-inferior efficacy to patients administered darunavir plus ritonavir in combination with emtricitabine or abacavir, as well as a similar rate of high-viral load patients to reach suppression at 48 weeks (77% vs 74%). The pair’s sNDA consideration will be supported by the results of the DRIVE-SHIFT trial, however. The results—presented at IDWeek 2018 in San Francisco, CA—showed the non-inferior efficacy of doravirine/lamivudine/tenofovir disoproxil fumarate, as a switch of therapy compared to continued baseline regimen of 2 NRTIs plus a boosted protease inhibitor, boosted elvitegravir, or NNRTI. The PDUFA date for the sNDAs is September 20, 2019. The article “FDA To Consider Pifeltro, Delstrigo as HIV Switch-On Therapies,” was originally published on MDMag.com. Editors Note: Updated 1/24/2019 at 11:44 AM EST.